Michele Martinho, MD always appreciates feedback from our valued patients. To date, we’re thrilled to have collected 21 reviews with an average rating of 4.9 out of 5 stars. 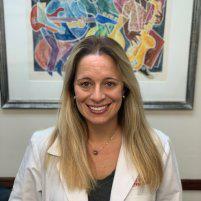 Please read what others are saying about Michele Martinho, MD below, and as always, we would love to collect your feedback. Every visit with Dr. Martinho has been amazing. She has always addressed all of my concerns with attention and care. She has explained things in a non-medical way so that it’s simple to understand and takes the time to listen to all the questions you may have and guide you in the right direction so that you feel at ease. I highly recommend her. Dr. Martinho is the Best. Really gets to know you which is very important ❤️ Her. She is one of the best along with her medical staff and receptionist.10-12years as my doctor. I've only had excellent experiences at Dr. Martinho's office! I have been seeing Dr. Martinho as my PCP for over 10 years now. She is very thorough, professional and knowledgeable about medicine. She also takes the time to talk to me and ask me about more than just my health. She is more than my doctor, she is a confidant. Her team Amarita and Appolonia are awesome. I have referred my adult children to Dr. Martinho's practice, that's how much I trust them with my healthcare. Saw me a little earlier than schedule appt. Very knowledgeable with nice bedside manner. Dr. Martinho really listens—a quality you don’t find in doctors anymore. She’s very knowledgeable in many areas, not just basic go territory. I’ve been her patient for over three years and would never consider another doctor. Dr Martinho is compassionate, easy to talk to and trustworthy. She takes the time to listen and strategize on best course of action. I've been living in Manhattan for 26 years, and when I found Dr. Martinho, I finally feel like I have a doctor who truly cares about the whole of me. She is really good at figuring out what's wrong, and has a great network of specialists she can refer you to for specific issues. I had a great experience with Dr. Martinho. She was knowledgeable, approachable, and friendly. She took the time to listen to my concerns and make a personal connection. It's hard to find a good doctor in NY-- I will be staying with her! Another great appointment with my hero Dr Martinho. I always start the new year with these “goals” and every year she makes them happen for me. Inspiring! Dr. Martinho was thorough, listened well and gave me rational, immediate solutions with overwhelming kindness. She was very personable and professional, looking to help in any way she could. Highly recommended. I can’t recommend Dr. Martinho enough. She’s the only doctor i’ve ever had that’s sat and talked with me without making me feel rushed or pushed. She’s been knowledgeable and helpful about things no other doctor had recognized and is a genuinely good doctor and person. You could not ask for a better GP than Dr. Martinho. She is down-to-earth, attentive, and really listens to and cares about patients. Thanks to Dr. Martinho's attention to detail and willingness to listen and follow up, I am finally free of chronic and difficult-to-diagnose symptoms that seriously impacted my quality of life for over a decade. I can't recommend her highly enough! Amazing experience at a doctor if there is such a thing. I had not been to see a doctor in years and a friend recommended this practice. Dr. Martinho was truly amazing. So thorough, caring and had a wonderful bedside manner. 100% will now make her my primary care doctor. Thank you Dr. Martinho and staff! !